Pippa Middleton Matthews, sister of Duchess Kate of Cambridge, was in the final days of her pregnancy at the wedding of Princess Eugenie of York and Jack Brooksbank at St George's Chapel, Windsor Castle on Oct. 12, 2018. Pippa attended Princess Eugenie's royal wedding with her husband, James Matthews. 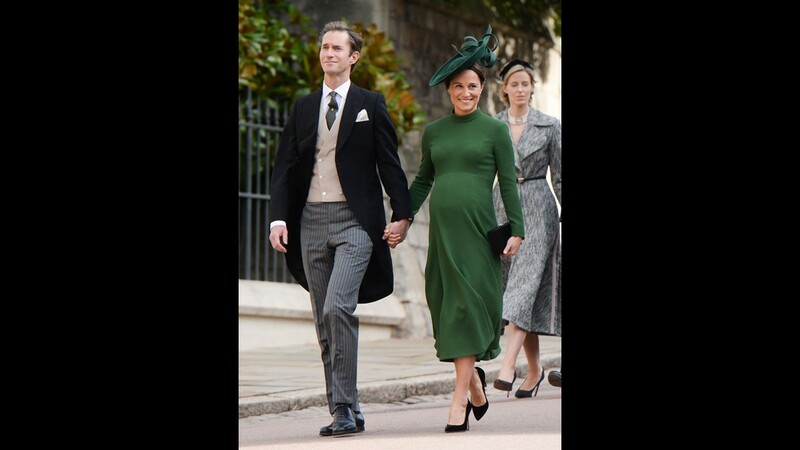 Pippa wore an evergreen, high-necked maxi dress by Emilia Wickstead dress with a matching wide-brimmed hat to finish off her look. For her final Wimbledon look of 2018, Pippa wore a printed, multi-tiered maxi dress by Anna Mason and tied her hair back in a low ponytail with French braids on the side. Pippa Middleton shows off a bit of baby bump at Wimbledon on July 13, 2018 in London. She wore a patterned midi-dress with a drop waist, ruffled tiers and a tie just above the stomach. Pippa Middleton wore a light blue shirtwaist dress to watch the tennis at Wimbledon on July 11, 2018 in London. Happy birthday, Pippa! 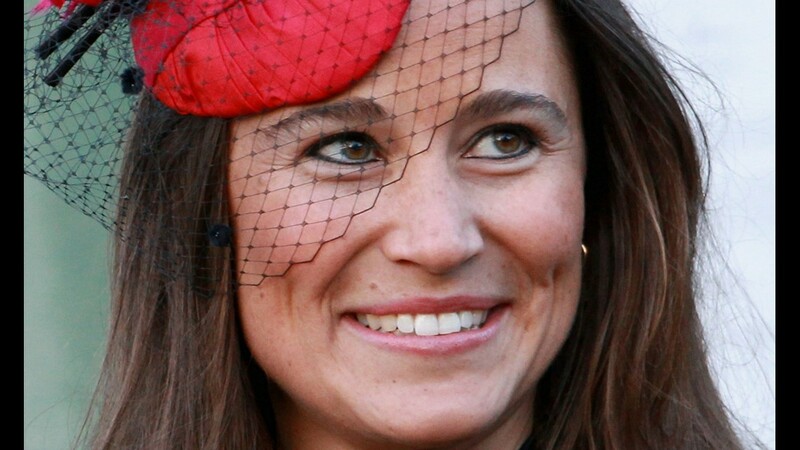 Pippa Middleton Matthews turns 35 on Sept. 6, 2018. it will be a year unlike any other for Duchess Kate's younger sister, who is expecting her first child. To celebrate, take a look back on her best style looks, like the blue dress and hat she wore to the christening of nephew Prince Louis, held July 9, 2018 in the Chapel Royal at St James's Palace. Joined by husband James Matthews, Pippa Middleton Matthews wore a baby-blue ensemble to her nephew's christening: a pleated, button-down dress with a dropped waist and high white collar by Alessandra Rich, plus matching fascinator and pumps. Prince Louis of Cambridge was christened at the Chapel Royal, St James's Palace, London on July 9, 2018. 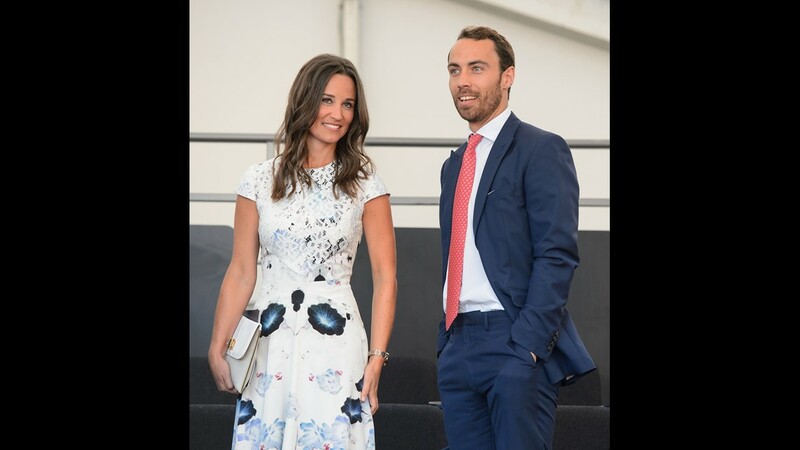 A fashionable sibling pair, Pippa Middleton Matthews and brother James Middleton, take in Day 4 of the Wimbledon Tennis Championships on July 5, 2018 in London. Pippa wore a white, embroidered custom midi-lengthy sundress from Anna Mason that featured frilly sleeves. She paired the dress with light-blue denim, lace-up espadrille sandals. Can you tell Pippa in is pregnant? She confirmed she was expecting her first child with husband James Matthews in early June but has not revealed her due date yet. Pippa Middleton and husband James Matthews arrive for the wedding of Prince Harry and Meghan Markle at St George's Chapel, Windsor Castle on May 19, 2018. She wore a loose-fitting, mint-green dress with floral detailing by The Fold. Pippa Middleton, the sister of Duchess Kate of Cambridge, was among the first to visit her sister's new baby, Prince Louis, on April 24, 2018, at Kensington Palace in London, one day after he was born. 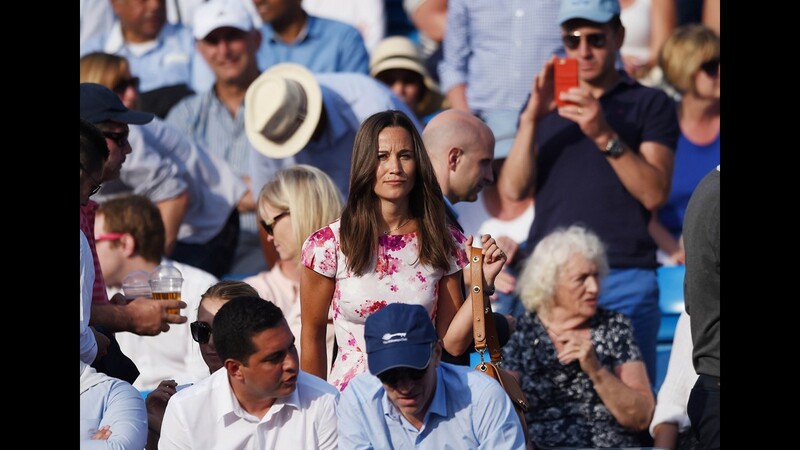 Pippa Middleton, in a white tiered floral dress, attended the final day of Wimbledon, this time with her mother and brother, for the men's singles final on July 16, 2017 in London. 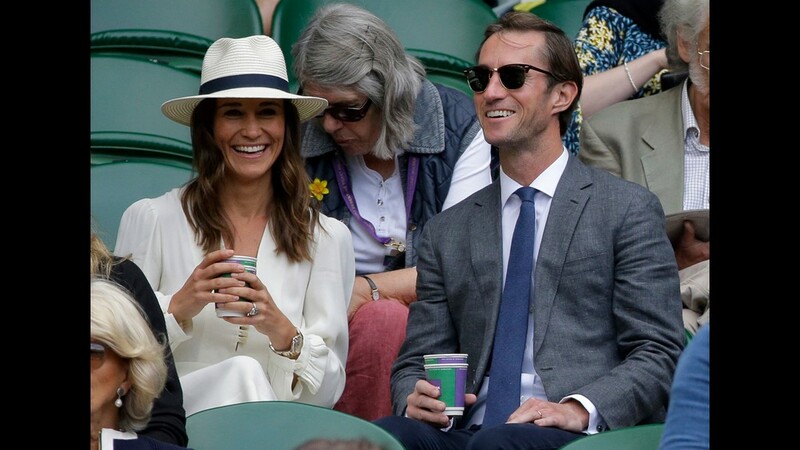 Pippa Middleton and new husband James Matthews are huge fans of Wimbledon. On July 14, 2017, they were at Centre Court together for the men's single semifinal match in London. Pippa Middleton attends day seven at Wimbledon, on July 10, 2017, wearing a slightly more daring dress: A pale mint green frock by Tephi with shoulder cutouts. Pippa Middleton attended day three of Wimbledon wearing a soft pink, lacey dress by Self Portrait on July 5 in London. 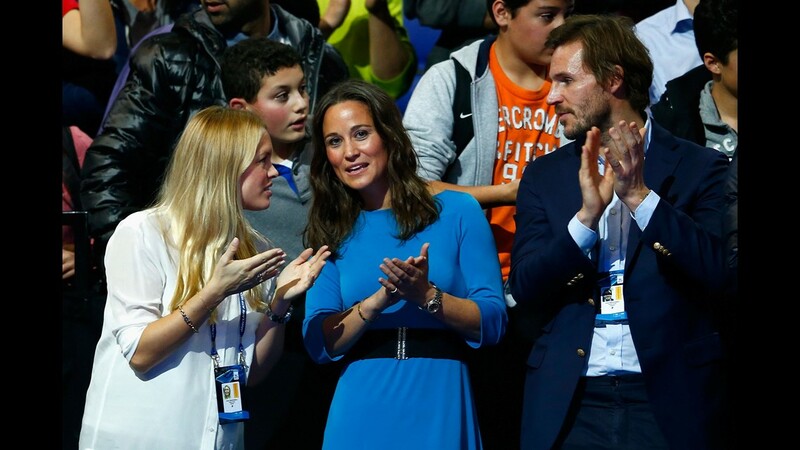 Pippa was accompanied by brother James Middleton, who sat in the look centre court royal box. Duchess Kate's younger sister topped off her look with large sunglasses and a low ponytail. Pippa looked chic in Sydney in a striped, short-sleeved dress with cinched waist by Kate Spade and black wedge lace-up espadrilles, on May 31, 2017. Pippa Middleton arriving for the ParaSnowBall 2017 fundraiser held at The Hurlingham Club on May 4, 2017 in London, before her May 20 wedding. 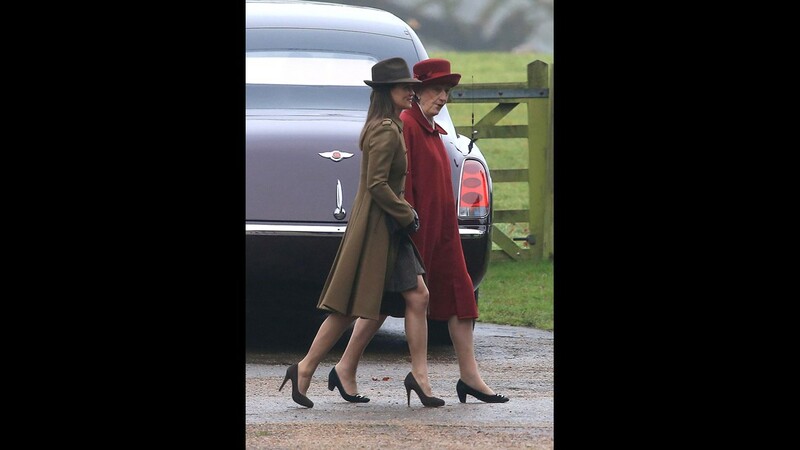 That's Pippa on the left, in a brown coat and snappy fedora on Jan. 8, 2017, at Sandringham, where she accompanied her parents, sister, brother and fiance James Matthews to Sunday services at St. Mary Magdalene Church with the royal family led by the queen. 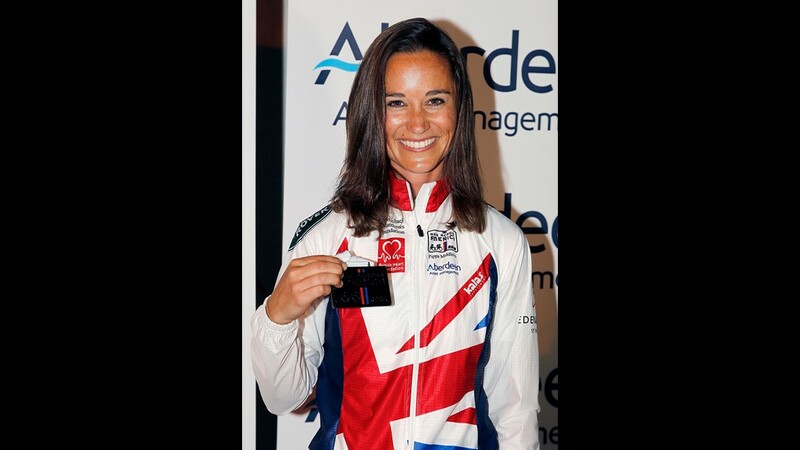 Pippa Middleton and her fiance James Matthews together in a picture? That's almost as rare as Prince Harry with his new girlfriend Meghan Markle. 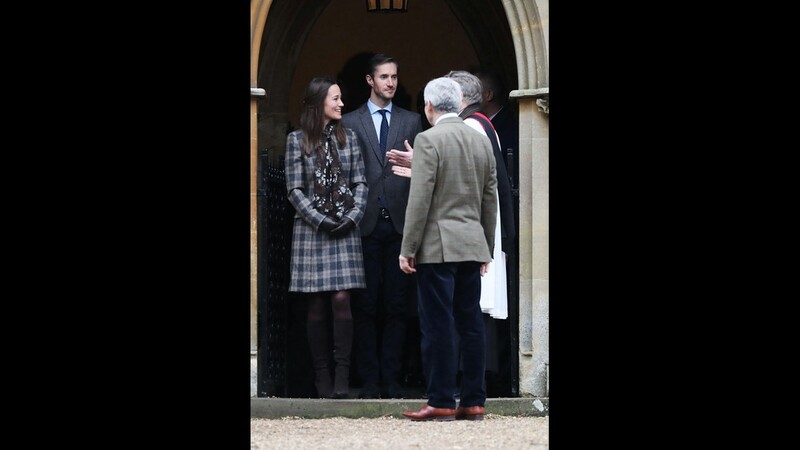 But Pippa and James turned out for Christmas Day services at at St Mark's Church in Englefield, the little village church where they will marry in May, near her parents Buckleybury estate 50 miles west of London. The couple stand in the church door, with her father Michael Middleton on the right. Pippa dropped in at the BGC Annual Global Charity Day at Canary Wharf on Sept. 12, 2016 in London, wearing a gray Reiss jumpsuit. 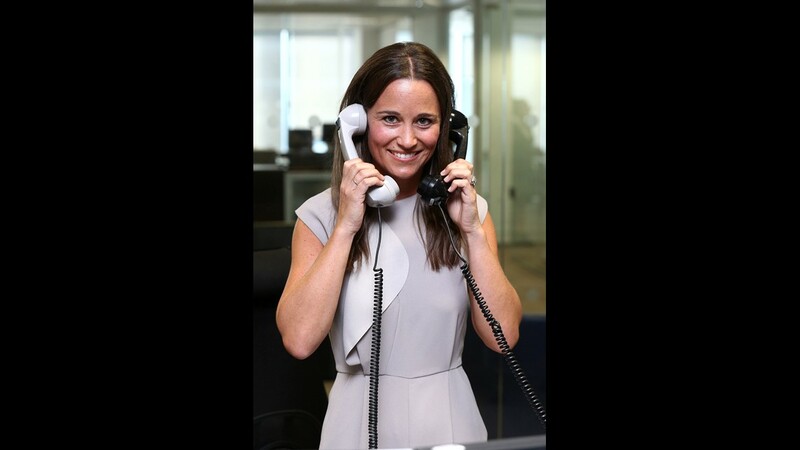 Pippa makes a trade at BGC Annual Global Charity Day at Canary Wharf. She's engaged and wearing her ring. Pippa went for a run outside her London home, July 20, 2016, a day after she and her hedge fund manager boyfriend, James Matthews, announced their engagement and plans to marry in 2017. 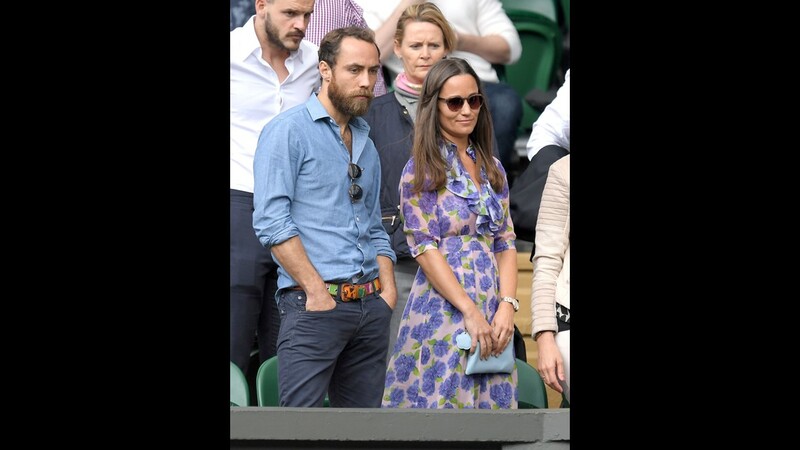 Pippa and brother James Middleton were spotted at Wimbledon on July 08, 2016. Pippa was back for a third visit to Wimbledon, on July 6, 2016, wearing another dress by Tabitha Webb, a sleeveless pink sheath with a peacock feather pattern. Pippa and boyfriend-now-fiance James Matthews attended day nine of Wimbledon, marking their first public appearance as a couple. The hedge fund manager, 40, and Pippa, 32, have been friends for years and previously dated back in 2013. Pippa was practically 1960s Pop at Wimbledon in her Tabitha Webb patterned shift dress in pale orange and lavender, with matching lavender suede heels and clutch, on July 4, 2016. 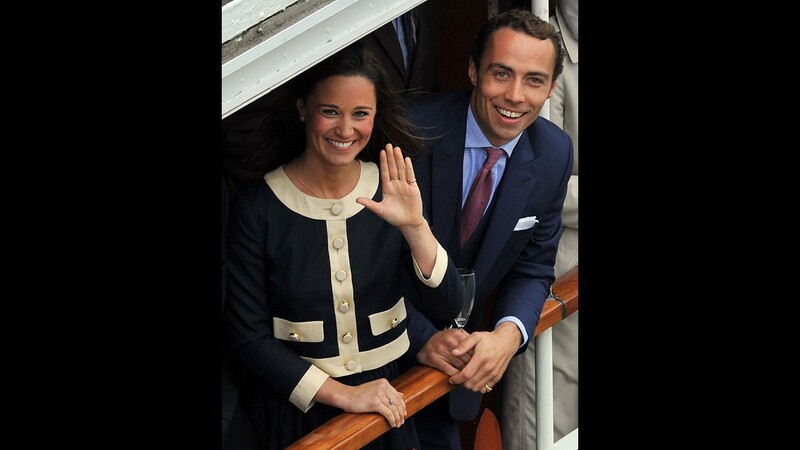 Wimbledon 2016 opened June 27 and naturally tennis fan Pippa Middleton was there, along with brother James Middleton. She wore a flowered frock by British brand Suzannah, similar to other dresses Pippa has worn to Wimbledon in recent years. When Prince William got engaged to his longtime girlfriend Kate Middleton in 2010, few Americans knew much about her, let alone her younger sister, Philippa, or Pippa. But that's all changed. Now she's a princess of the paparazzi. As Pippa turns 30 today, take a look back at some of the pictures that made her almost as famous as her sis the royal duchess. One of our first glimpses of her was in February 2011, shortly before the royal wedding, when she attended the wedding of her friend, the daughter of the Duke of Northumberland, at a castle in northern England. Pippa's shapely style gets its first presentation at the Northumberland wedding, when she arrives at the church in a satiny black coat through which peeps a red lace dress. But her topper was tops, a bright red-and-black skull-cap-style fascinator perched on the side of her head. The day before the royal wedding, Pippa arrives at London's Goring Hotel with sister Kate and mother Carole, where the bride's family would stay for the nuptial celebrations. 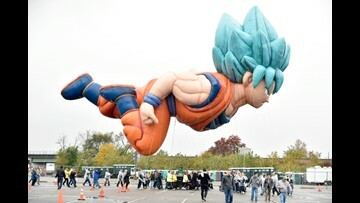 The shot that launched a thousand paparazzi. 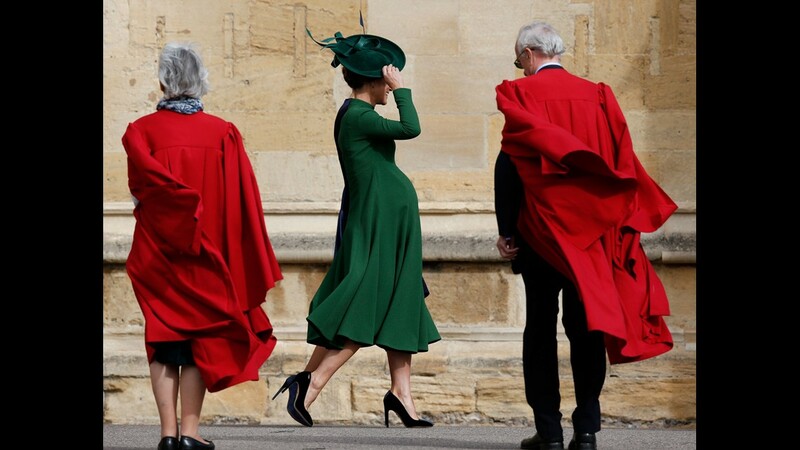 Pippa follows Kate and father Michael into the Abbey, showing off her shapely rear in a sleek McQueen gown. So impressed were so many that Pippa's bottom even got its own instant Twitter account. 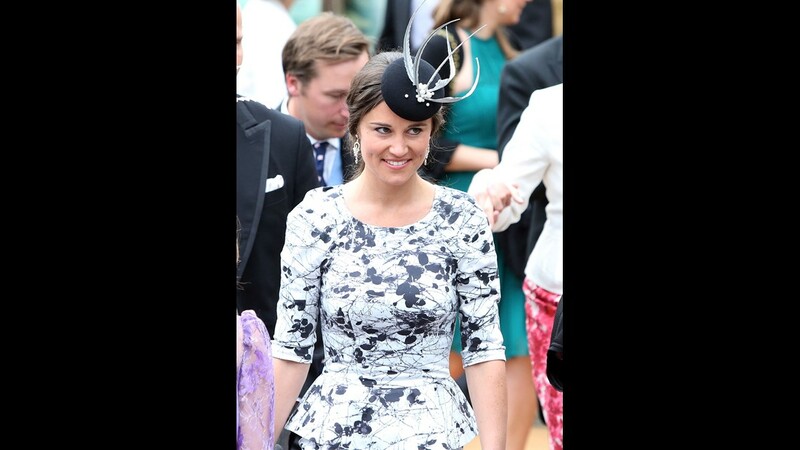 Pippa looked especially appealing shepherding the four little bridesmaids at the wedding. After the wedding, Pippa appeared on the balcony of Buckingham Palace with members of both families, including best man Prince Harry. Their friendly demeanor during the wedding helped excite feverish speculation about these two eventually becoming a couple, but it was just a fantasy. Pippa and the Middletons departed the Goring Hotel the day after the wedding. Her outfit of a royal blue blazer and white jeans is typical of her chic look even in casual attire. After the royal wedding, the paparazzi couldn't get enough of Pippa, snapping her constantly in London and elsewhere in the months following. It helps that she's always smiling and almost never takes a bad picture. Here she is on the street in Kensington on May 19, 2011. Notice the casual chic again. Pippa strolling in South Kensington on May 26, 2011. Pippa is a fierce tennis fan. Here she is at the French Open in Paris on May 30, 2011. More tennis shots: Pippa cheers during match between Rafael Nadal of Spain and Radek Stepanek of Czech Republic at the AEGON Championships at Queens Club on June 9, 2011 in London. 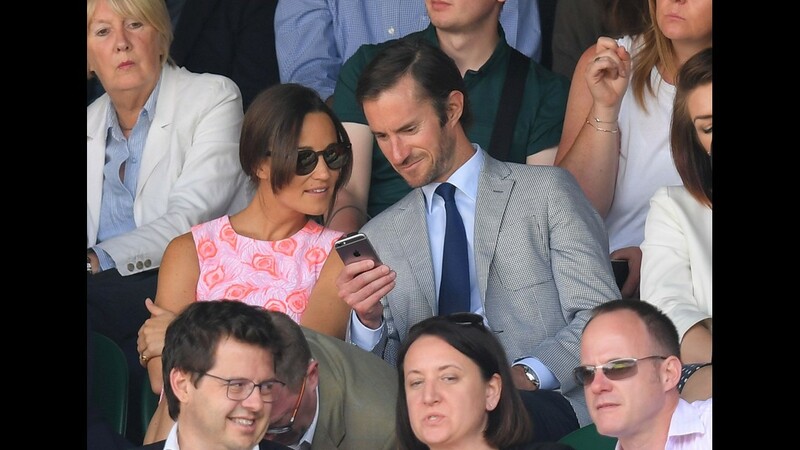 Pippa and then-boyfriend Alex Loudon watch the men's single quarter final between Andy Murray and Feliciano Lopez at Wimbledon on June 29, 2011. Pippa rocks a denim shift on a London street on July 14, 2011. Pippa dons a color-block outfit to go shopping on July 15, 2011 in London. As with all celebs, Pippa turns up at a fashion show with other celebs. She was in the front row with Peaches Geldof and Rosario Dawson to her right, at the Temperley spring/summer show for London Fashion Week at the British Museum on September 19, 2011. Pippa proves again she looks good in a shapely white dress, here on the street in London on Sept. 29, 2011. It's getting colder so she's bundling up as she arrives at her office in London on October 12, 2011. Besides sports, fashion and film premiers, Pippa joins fellow celebs at a charity gala, this one in support of fighting breast cancer, in Richmond, England, on October 13, 2011. 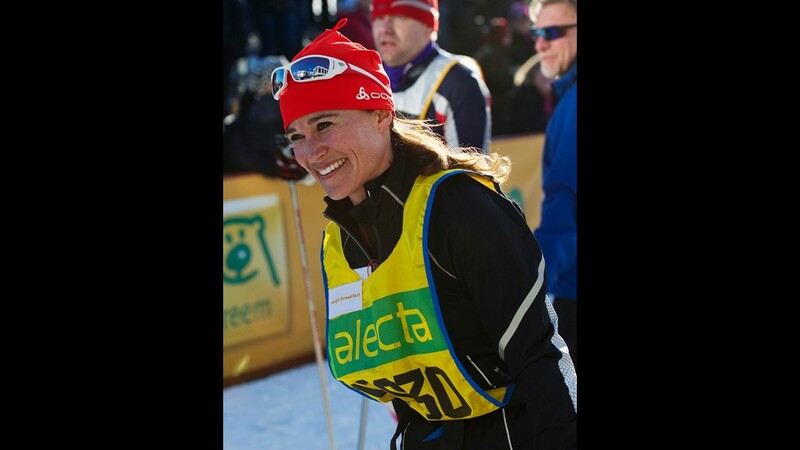 Pippa crosses the finish line at the 88th Vasaloppet cross-country ski marathon in Mora in Sweden on March 4, 2012. Pippa and James and the rest of the Middletons join the flotilla of hundreds of boats celebrating the queen's Diamond Jubilee during the Thames River Pageant on June 3, 2012. You can't be a real celeb unless you walk an occasional red carpet. Here Pippa struts her stuff at arrival for the UK premiere of the film 'Shadow Dancer' at a theater in London on Aug. 13, 2012. Pippa is said to like visiting New York, especially for tennis. Here she watches Czech Tomas Berdych play against Switzerland's Roger Federer during their 2012 US Open men's singles quarterfinal match at the US Open in New York on Sept. 5, 2012. Pippa works it at the launch party for her party-planning book, 'Celebrate,' at a bookstore in London on Oct. 25, 2012. Pippa dons an elaborate fur hat and mustard-yellow coat to watch the races with a pal, Tom Kingston, at the Cheltenham racecourse on March 14, 2013 in London. Pippa's new boyfriend of some months is banker/stockbroker Nico Jackson, son of a middle-class family that runs a ski-and-sportswear shop in a small town in Kent. Are they secretly engaged, as some reports put it? Stay tuned. Here they leave a new London club, Mr Fogg's, on May 21, 2013. Pippa arrives to watch the tennis at center court at Queen's Club grass court championships on June 13, 2013 in London. Pippa attends another wedding involving a daughter of the Duke of Northumberland, at his castle in Alnwick, England, on June 22, 2013.
Who's more famous? 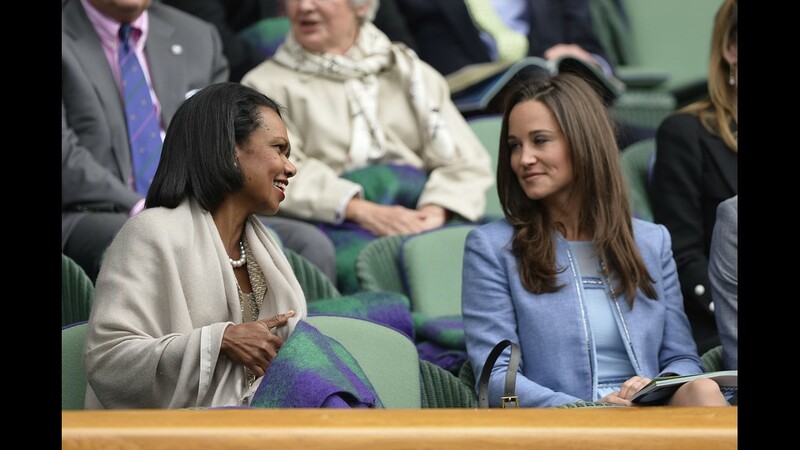 Pippa sits next to former US Secretary of State Condoleezza Rice in the box at center court for the men's first round match on the first day of Wimbledon on June 24, 2013. Pippa never misses the tennis at Wimbledon, and now it's Nico Jackson who's at her side. 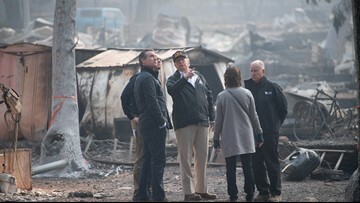 Here they watch the action on July 5, 2013. Pippa and James and their parents get seats in the royal box during a gala at Buckingham Palace celebrating the queen's 1953 coronation, on July 11, 2013. There's always another wedding among the young-aristo crowd in the U.K., and Pippa is often invited. On Sept. 14, she attended nuptials of James Meade and Lady Laura Marsham in King's Lynn, England. Boyfriend Nico Jackson wasn't there but Prince William and Prince Harry, close friends of the groom, both were there. 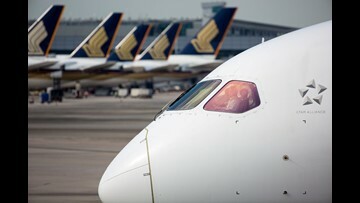 But not Duchess Kate nor baby Prince George. As usual at an English wedding, the hats stand out. Pippa wore a fitted dress of teal blue with a lace overlay and a perky oval hat in the same color. Pippa and brother James were among the elite few present at the christening of nephew Prince George in the Chapel Royal of St. James's Palace on Oct. 23. She stood out in a cream-colored custom-made coat-and-dress ensemble by British designer Suzannah Crabb, with a complementary pill-box hat perched on the front side of her head. The coat was cream wool trapeze-style with pale pink trim, and the dress was blush lace. Once again, the engagement-is-imminent stories are appearing, after Pippa and banker boyfriend Nico Jackson stepped out for the Sugarplum Ball in Mayfair on Nov. 20. Supposedly, they are to marry in the spring but there's still no rock on her finger. 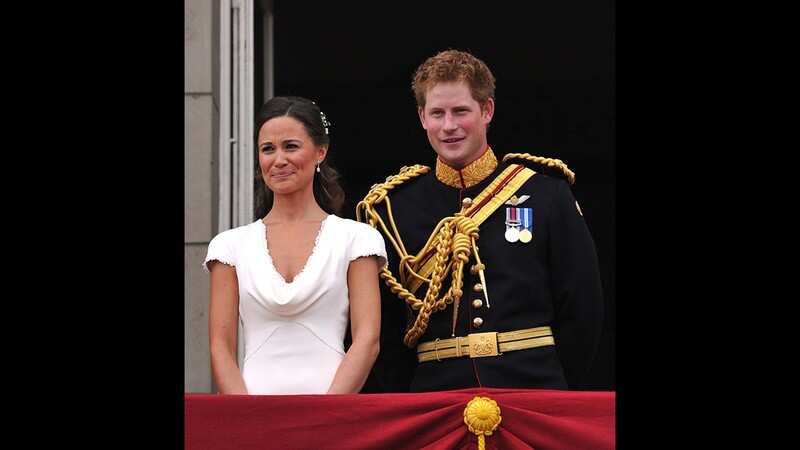 Pippa's dress for the ball, a custom creation by Temperley, was black, sheer, intricately embroidered and sparkly. She paired it with a sequined cropped jacket, chandelier earrings, and a chic updo. Pippa pops back up on March 13, when she attends a memorial service for British broadcaster David Frost at Westminster Abbey. She picks a conservative navy blue button-down coat dress with a tie waist and with matching pumps. 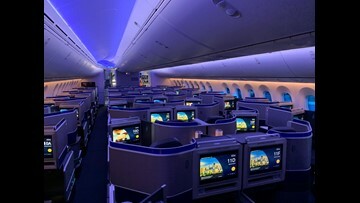 She did not arrive with boyfriend Nico, instead accompanied friends including British adventurer-broadcaster Ben Fogle. Pippa, in a lacey green frock, and James and friends were spotted at Trishna Restaurant in London. 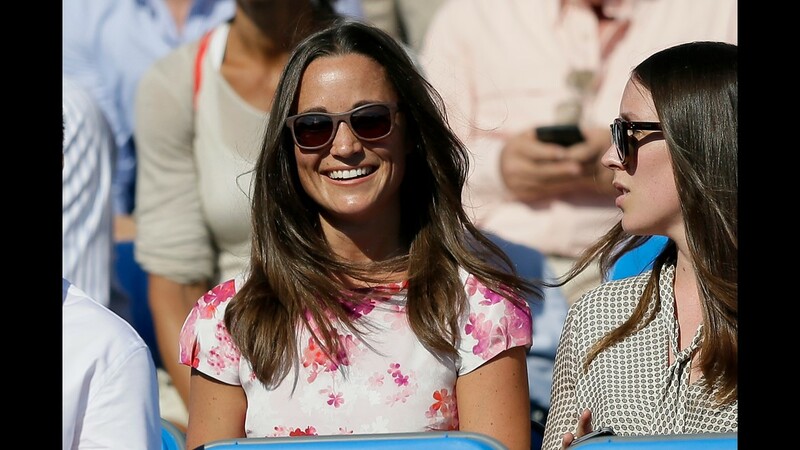 A fervant fan of tennis, Pippa is regularly seen in the royal box at Wimbledon every year. On June 6, she sat behind Michelle Dockery of 'Downton Abbey' Pippa was summery in a Carolina Herrera dress in a black-and-white flower pattern, tied at the waist with a black ribbon, and a tailored white blazer over that. Pippa poses after finishing the bike Race Across America on June 21, in Annapolis, Md. 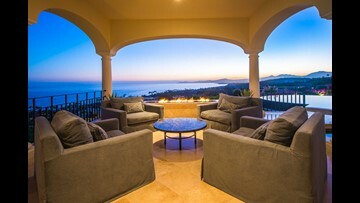 She and brother James participated in the week-long race to raise money for charity. 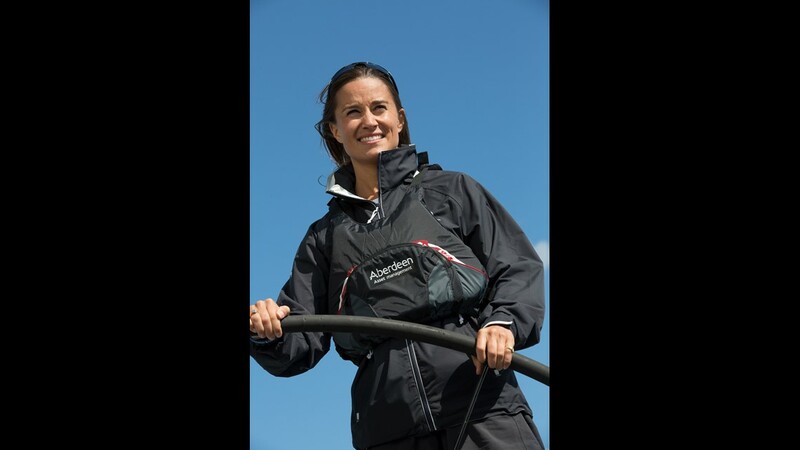 Pippa was dressed for sport when she took the wheel on a fancy yacht during the annual Cowes Week yachting race, on August 3. Pippa was even more casual, in tight jean shorts and a white T-shirt and baseball cap with no make up, on the Kings Road in London with boyfriend Nico Jackson. 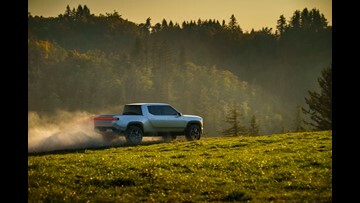 on Aug. 11. Pippa showed up at the GQ Men of the Year awards at The Royal Opera House on Sept. 2, in London, dressed in an elegant pale pink sequinned ankle-length dress with a vintage look by event sponsor Hugo Boss, plus box clutch, strappy sandals and diamond earrings. Pippa, Nico, her parents, and brother, Prince Harry and Princess Eugenie traveled to sunny Monopoli for Charlie Gilkes and Anneke von Trotha Taylor's wedding. Pippa Middleton in the Jackson Hole, Wyo., airport where she went square dancing for a test story for the 'Today' show. Her traveling look: Skinny black jeans, suede booties and a waffle-stitch cardigan by Anthropologie. While sister Kate was glamming it up at the Royal Variety Performance on Nov. 13, Pippa was watching tennis, Andy Murray vs Roger Federer at the Barclays ATP World Tour Finals at O2 Arena. A close up of Pippa at a tennis match on Nov. 13 in London. Pippa donned her crimson L.K. Bennett lace dress for the British Heart Foundation's Roll Out The Red Ball at a London hotel on February 10, 2015. She and designer Tabitha Webb joined forces to create an exclusive dress and scarf in aid of the British Heart Foundation. The dress and scarf, about $450 and $140 respectively, are available for sale in Webb's London shop. Sure enough, she was wearing the Tabitha Webb dress in the stands at the Queen's Championships in London, Friday, June 19, 2015. Queen's Championship tennis match on Friday, June 19, 2015. 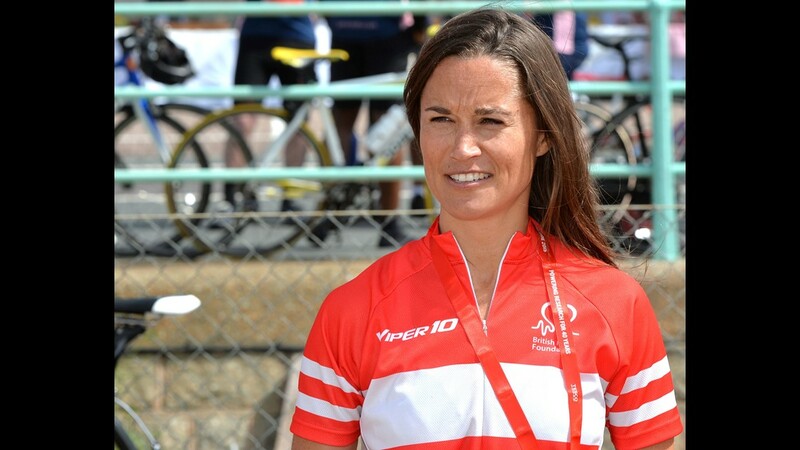 Pippa was prominent in the stands at the Queen's Championships, giving everyone a glimpse of the dress she and Tabitha Webb designed to benefit the British Heart Foundation. 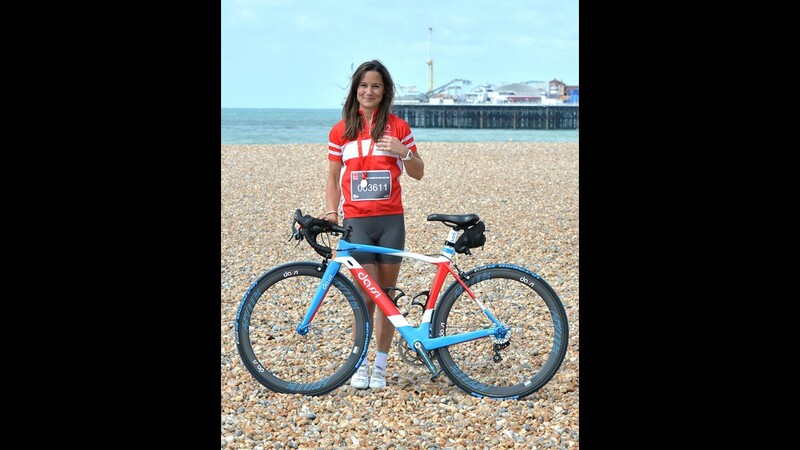 Pippa finished the 54-mile London To Brighton Bike Ride For British Heart Foundation on June 21, 2015 in Brighton, England. 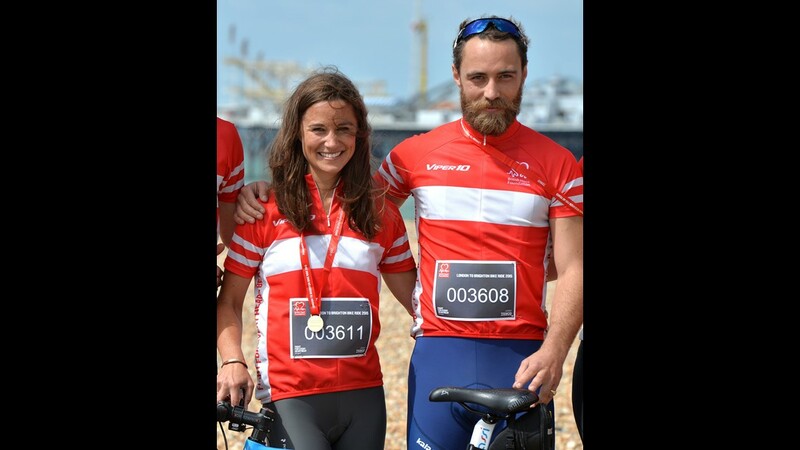 She and brother James Middleton did the charity bike race. Pippa and James also did a similar charity bike ride/race in the USA last year. Pippa posed with her bike on the beach at Brighton. Like her sister, Pippa wore a cream-colored outfit for the christening of her new niece, Princess Charlotte, at St. Mary Magdalene Church in Sandringham, July 5, 2015. 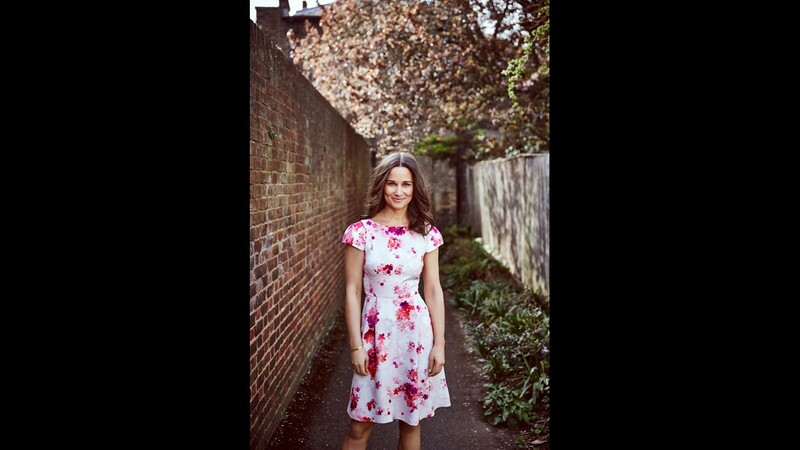 Pippa attends day seven at Wimbledon on July 6, 2015, in a flirty summer frock. A few days later she was on on Centre Court in a houndstooth top and pants set, for the women's semi finals on July 9, 2015. Pippa dressed up for the Boodles Boxing Ball in a bright blue cutout gown by Jenny Packham that showed off toned back and shoulders and a taut torso,on September 12, 2015, in London. Pippa Middleton went to the British Heart Foundation: Roll Out The Red Ball in a Tabitha Webb white shift dress with black piping, and carrying a heart-shaped clutch, in London on Feb. 11. 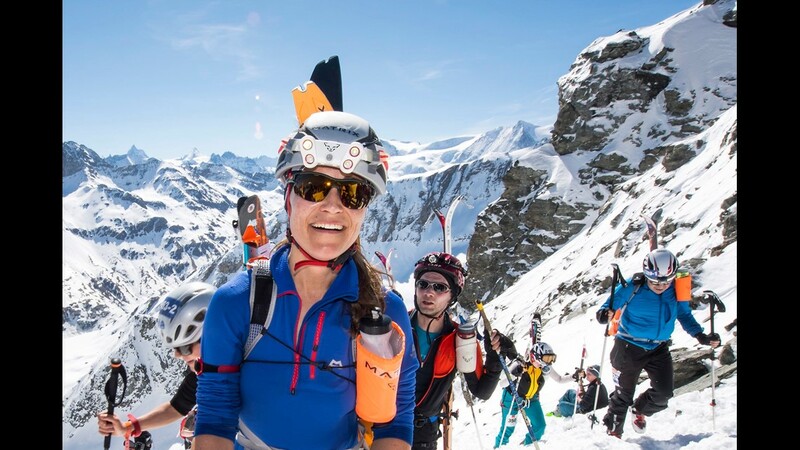 Pippa climbs the Rosablanche pass during the Glacier Patrol race near Verbier, Switzerland, on April 20, 2016. Highly-experienced hiker-skiers trek across the Haute Route along the Swiss-Italian border from Zermatt to Verbier. 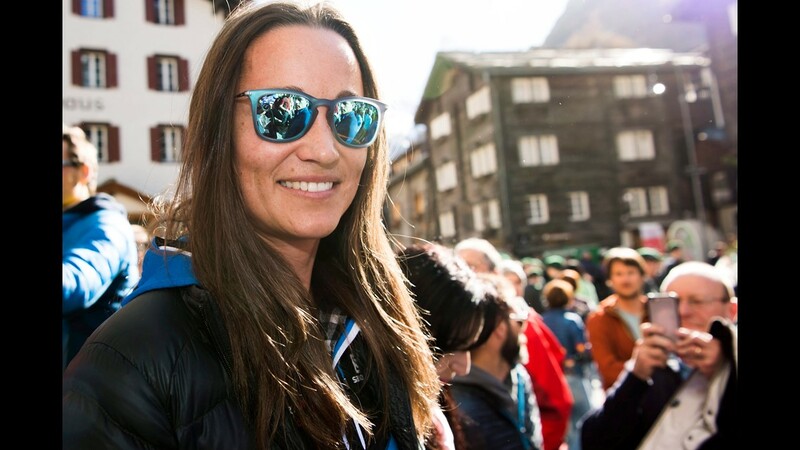 Pippa before the Glacier Patrol race in Zermatt, Switzerland, April 19, 2016, in Zermatt, Switzerland. Pippa shows a little leg while watching the tennis at Wimbledon on June 27 in London. Pippa chose a geometric print in pale orange and lavender with an unusual high neck and long sleeves (unusual for the weather) when she took in the tennis at Wimbledon again, on July 4, 2016. Pippa's print dress stood out in the stands, even when she sat behind Anna Wintour in a blue print dress.